How to Design & Make a Brochure That Stands Out . ', failHtml: "
Brochures present and organize a larger amount of information than flyers or posters. A good cover can pique your audience’s interest and encourage them to read on. The back cover often includes contact information and a call to action. 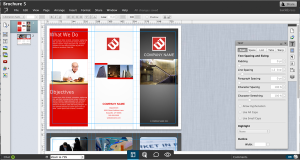 Lucidpress has custom brochure templates that not only look professional, but are easy to use. Spend less time worrying about learning complex layout tools, and more time growing your business. 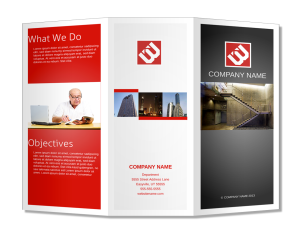 A standard print brochure (tri-fold brochure) is on 8 ½" × 11" paper, folded into thirds. On one side of the paper, you have the inside flap, the back cover, and the front cover, from left to right. 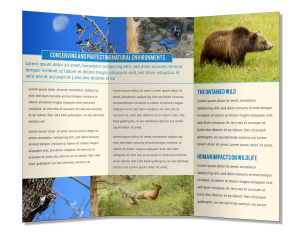 The core content of the brochure is on the inside. Grid systems are a simple way to line up your content and organize it. 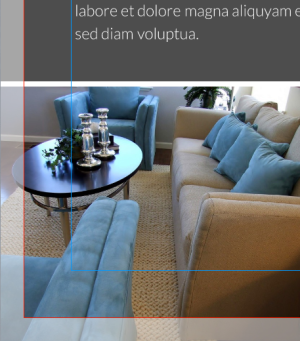 The grid lines help you align the various elements (headers, text, and photos) of your brochure. When the alignment in each brochure section is consistent, it helps your readers. All good brochures will include visual elements. The images you select should complement your text. A compelling cover photo can be the key to getting your audience to pick up your brochure and act on your message. High-quality photos and illustrations show a commitment to quality that you want your brand to reflect. 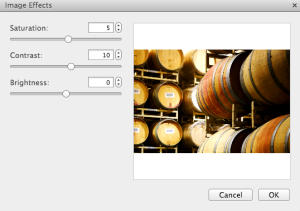 Choose software that includes options for cropping or masking, changing the saturation and contrast, and image alignment. Most printers are not able to print right up to the edge of paper. This can result in a white border around your content. In order to achieve a design that extends all the way to the edge, use a printing technique called full bleed. 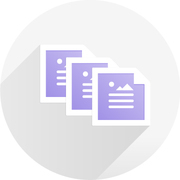 This allows the printed document to be trimmed to give you the desired visual layout, with no obtrusive white space. If you are printing from home, test one print brochure to make sure the bleed is what you predict. If you are using a professional printer or copy shop, contact them to make sure your brochure will look as predicted. Decide what you want to say in the front cover, back cover, and body of the brochure. Make sure that your message is consistent and easy to understand. Front covers sell your product or service, back covers provide contact information, and the inside page usually tells a story or provides pricing options (different types of drinks served at a cafe or spa packages, for example). When it comes to fonts, less is more. Choose one font for the body of the text, with a complementary font for titles or headers. 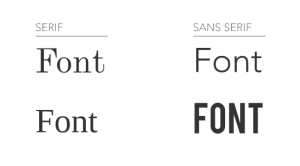 Complementary fonts are two fonts that are different enough to look deliberate. They often will be a serif font and a san-serif font. Use simple, easy-to-read typefaces without an excess of flourishes to better communicate with your readers. Choose a font color that is easily legible against your background color. Dark fonts stand out against light backgrounds, and vice versa. Don’t go overboard with colors. Two or three well-chosen colors is better than the clash of too many. Using color well in your brochure enhances your message visually and emphasizes specific points. Color is closely tied to emotion. Using a color scheme that is consistent and pleasing provides a better experience for your reader than one which is too loud, busy, or difficult to read. There are several resources online to help you find colors that work well together. 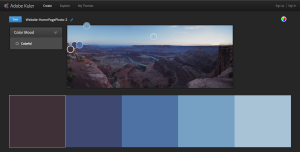 The color wheel on Adobe’s Kuler has several color palettes to help you choose a balanced scheme, including monochromatic, complementary, and compound colors. You can save your color swatches, then refer to them to choose colors for your brochure. Color Scheme Designer has more advanced options such as colorblind settings and exporting to HTML and text files. 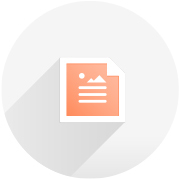 Standard letter size is 8 ½" × 11", and this is a good starting point for print-at-home flyers. If you cut your paper in half, you'll have a 5 ½" × 8 ½" flyer. Be sure to print a test flyer before making hundreds of copies. 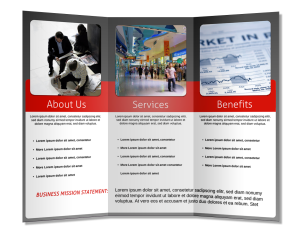 Ready to make your brochure? A good brochure is informative, memorable, and tells a story. 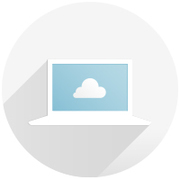 When you use Lucidpress for your cloud-based software design needs, you’ll be pleased with the results. 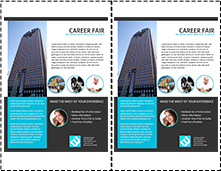 Start making professional-quality brochures with these templates.